Blacktealeaves is a group of tea lovers and aficionados from China, Canada and France, who all share a passion for drinking great tea and appreciate the healthy life style it brings. With all of us living in China, we frequently travel through the country visiting China's tea plantations so we can track down only truly exceptional teas. As a result we are able to bring to you – and us – the absolute highest quality Chinese teas that are, wherever possible, 100% organically grown and produced. Chinese tea culture presents the idea that life is a process of seeking and creating, but not of enjoying luxury. We love teas. We learn them, taste them, appreciate them, understand them, let them be a part of our lives. Plenty of producing area lie in the land of China. Some of them are renowned, while some are less noted. We explore stories of them all, seek for theory of life, and share with our tea lovers. 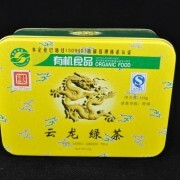 Blacktealeaves aspires for creating a famous and excellent brand of Chinese tea. To reach our goal, we know clearly of the requirements: long-term persistence of endeavor, adequate patience and 100% passion. We will persist in our dream of Chinese tea. Let’s share the gift of the great nature together, enjoy the brew. Our business ethic is one of honesty and trust, where the relationship and satisfaction of both our customers and our suppliers is our guiding principle. Our regular trips allow us to not just find the best teas, but also visit our supplier's farms to personally verify their growing and production methods and techniques. In order to guarantee the freshness and quality of the tea we sell, Blacktealeaves only buys tea directly from the tea producers who have a proven track record in producing top quality teas using organic, traditional methods. In the last few years, China's tea producers – and drinkers – have realized the taste, quality, health and environmental benefits of producing tea organically and so have introduced organic production on a large scale. 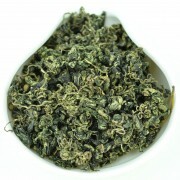 As a result Blacktealeaves offers you a range of organic teas from several different provinces in China. We thoroughly check to make sure that our organic teas have been verified as organic by recognized independent international organizations. To insure that our teas are good for both your health and for the environment, we consider pesticide problems as the foremost criterion of selecting a tea, and all our teas that meet the European low pesticide residues standard are analyzed with Quality Safety Testing Reports. At Blacktealeaves we invite you to share in our passion for truly great tea, and it is our pleasure to give you the chance to discover and explore Chinese teas that we drink daily. We make regular visitation to the tea gardens of the suppliers we already have, to get the latest information about the tea’s harvest, its quality and the market condition. In the meantime we develop new suppliers by touring to new tea gardens in different places, to seek for high quality teas. The very first factor we considered for selecting a tea is that the tea should meet the low pesticide residues requirement of European or USA. We carefully select each kind of teas for sell. 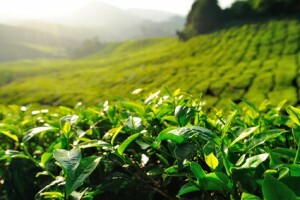 Among the tea gardens which meet our standard, we will choose more desirable ones, and contact them for tea samples. Various tea samples from different tea gardens will be strictly checked for the dry tea, aroma, tea liquid, infusion times, flavor and appearance of tea leaves. 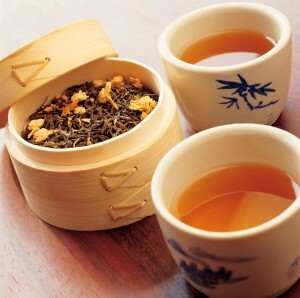 Usually, only two or three teas will be remained after the first sample check. 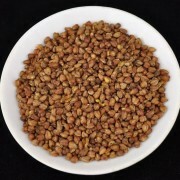 After that we will arrange another check of the teas in our final list. Then seriously choose one of them as product. By the time we decide the tea for sell, we will instantly contact the tea farmer to confirm the purchasing, package and shipment, and then sign the contract. Normally the tea will arrive at our warehouse in 2 – 4 workdays. In order to keep the tea fresh, every year’s spring tea and autumn tea will be purchased in 10 days as soon as new teas are made. Specially, for some green teas such as Ming Qian Long Jing, of which the material is very rare, we will purchase a quantity for the whole year’s sale to make sure the tea is from the same batch so that the quality will stay the same. We set a standard warehouse in Xiamen. The teas we purchased will be well-stored in the warehouse. Other than this, in 2013, a large refrigerated warehouse was built in Hangzhou for storing green tea, using advanced technology to maintain the tea’s freshness. Before a new batch of tea is put in storage, we will check its quality by comparing with the samples we kept from the original batch, in order to confirm that the quality of every batch is not lower than the original tea.